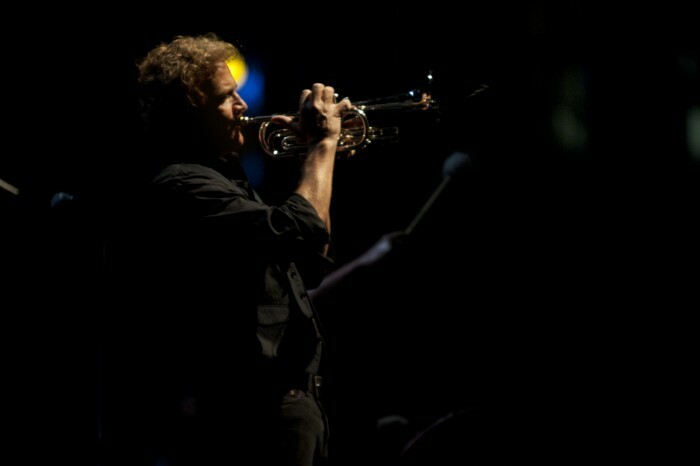 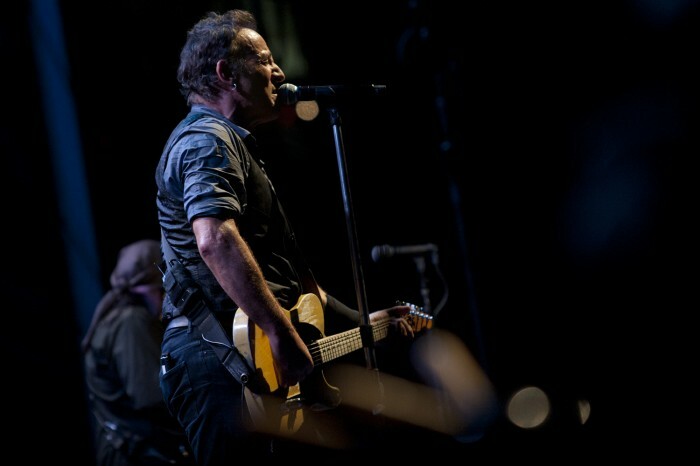 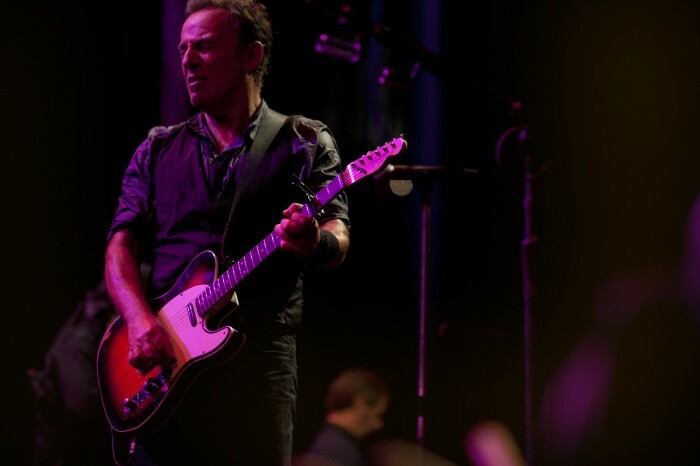 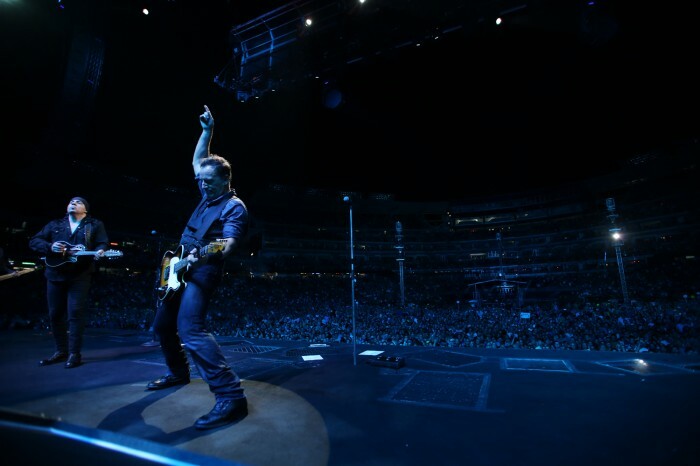 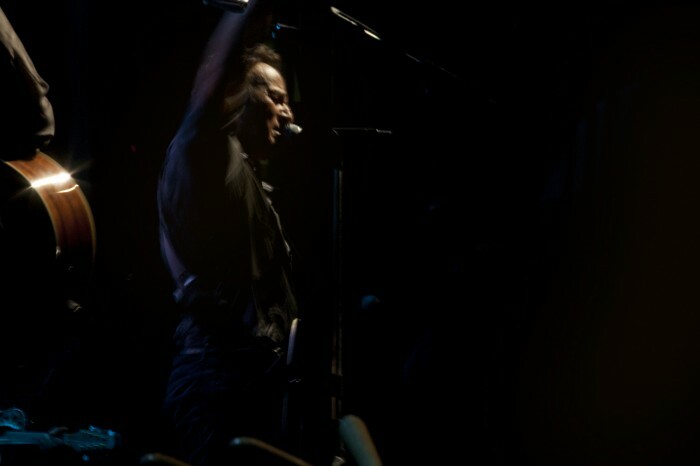 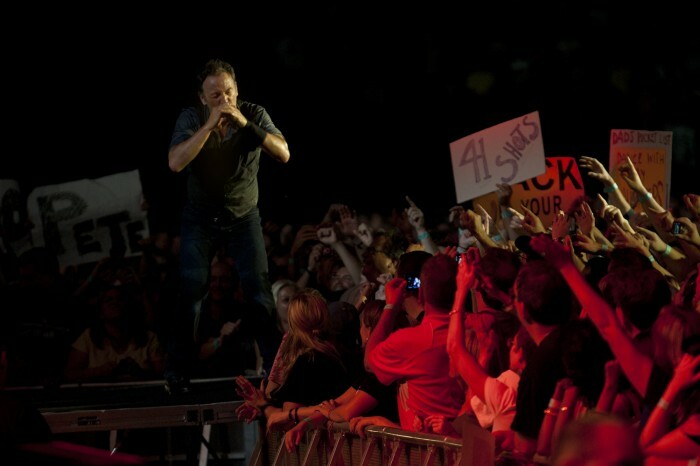 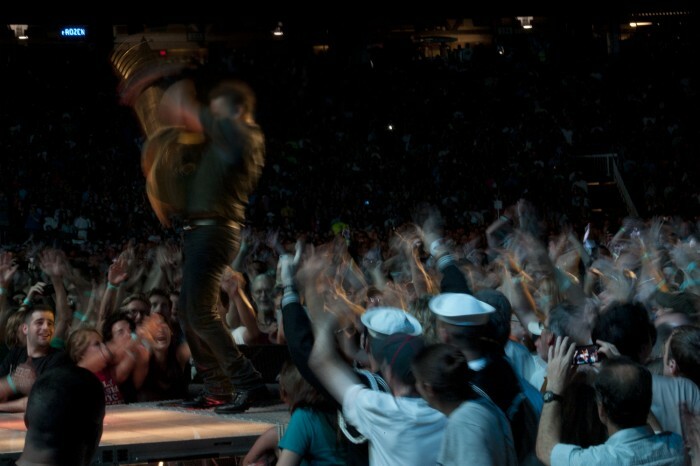 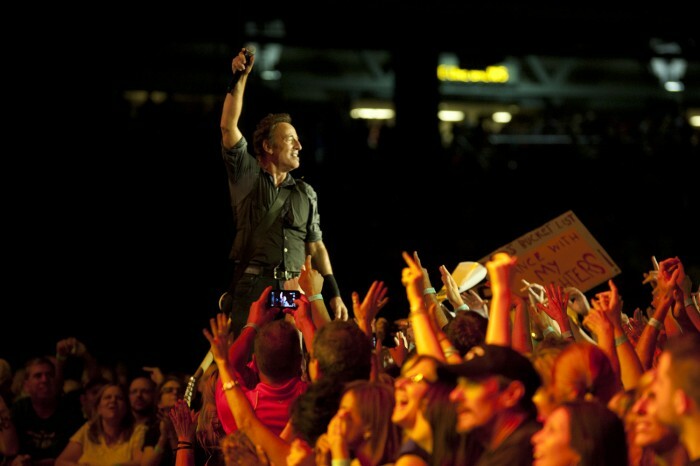 Bruce greeted the sold-out Friday night crowd at Nationals Park in Washington, DC, by acknowledging the first-place status of the home team: "I hear there's some pretty good baseball being played here — good for you!” Early in the show he asked, “Who here has never seen the E Street Band before?” Getting a surprising amount of cheers in return, he chuckled and said, “That’s a lot! 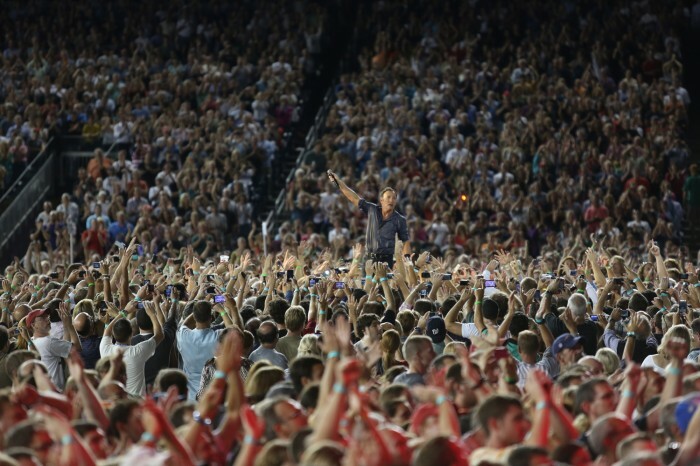 We’ve got some things to do!” And that they did, with the evening running the gamut from crowd-pleasers such as "The Rising" and "The Promised Land" that had the Washingtonians eating out of Bruce's palm to stellar performances of other live classics such as "The Ties That Bind" and "Land of Hope and Dreams," with a powerful sax solo from Jake. 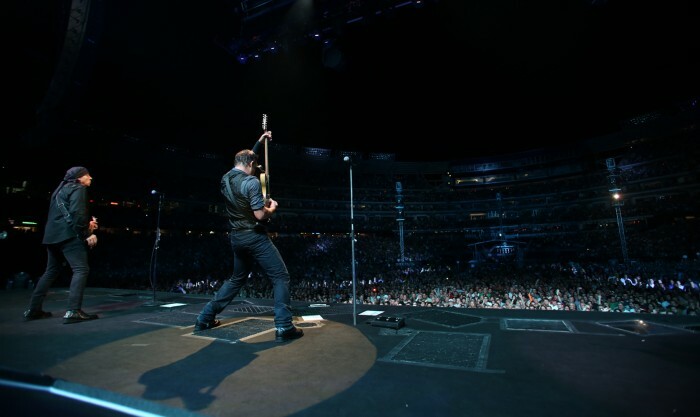 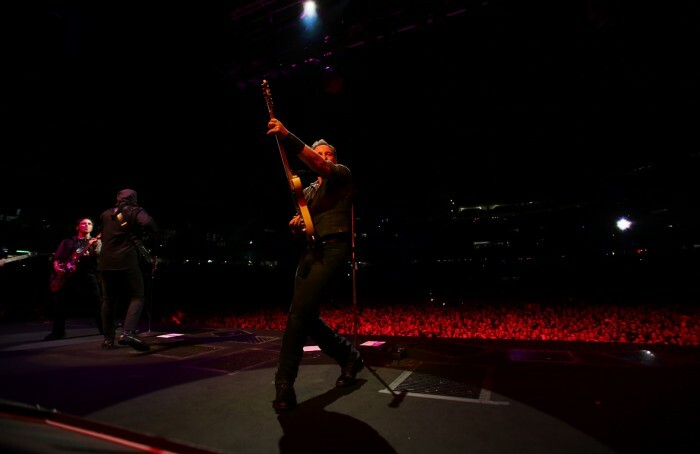 Friday’s show was on a perfect late summer evening, the final baseball stadium to be played on this part of the tour. 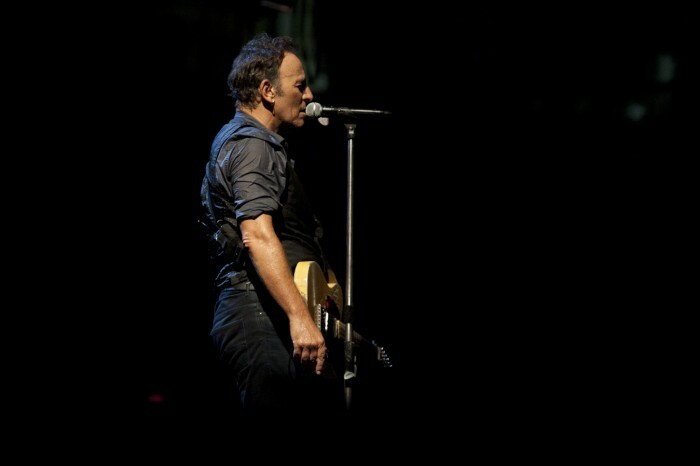 The seasonal weather had Bruce urging to crowd to “say goodbye to summer!” and join in on “Hungry Heart.” He ran the length of the stage multiple times during “Darlington County,” and when playing “Spirit in the Night” he exclaimed, “I don’t need to know how to balance the budget, all I want to know is — can you feel the spirit?” Having spent so much energy, it made perfect sense that he would get a little hungry. 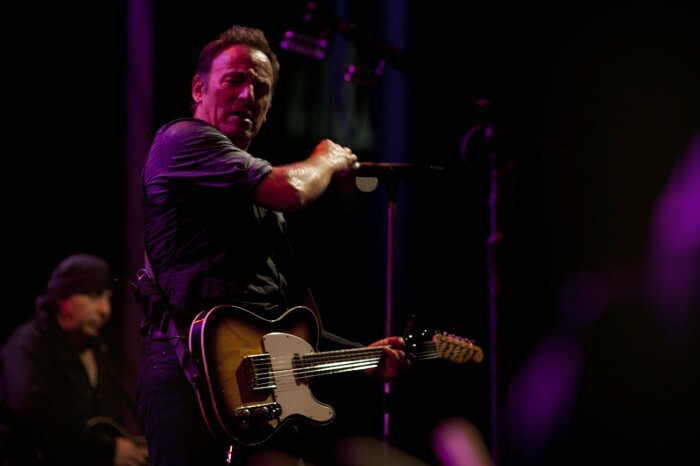 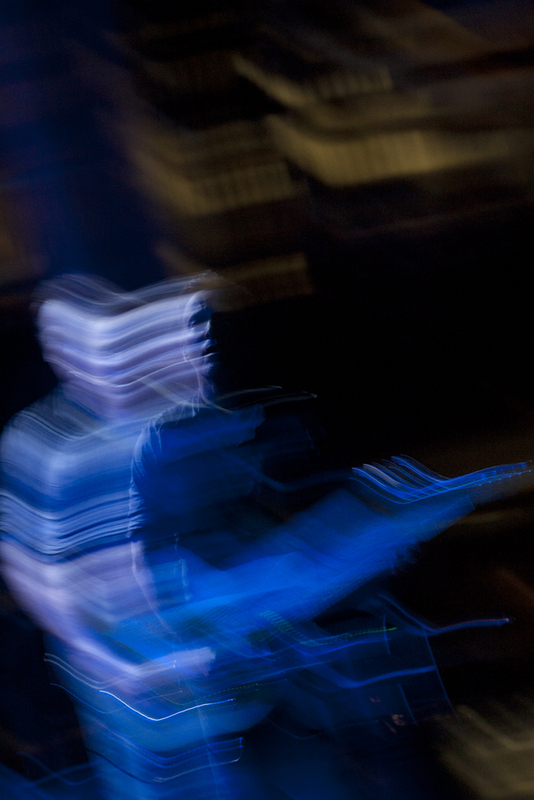 Fortunately, a box of pizza made its way onstage, Bruce exclaiming, “It’s still warm!” as he took a few bites. 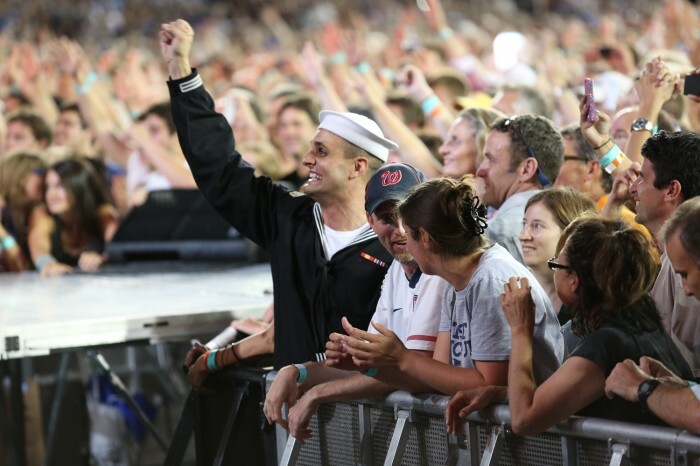 wanted to have them here, we are humbled by their service, we are indebted to them for their service — this is for them.” Both the emotional and performance highlight of the show, Roy, Max, Garry, Charlie and Bruce poured everything they had into the song for a truly magnificent moment.